Neetu Jain's personal life and career were the best they had been when she was caught up in the Tavistock Square explosion on 7 July 2005. The 37-year-old was about to get engaged and had just started a new job which saw her helping to build computer software used by many millions of people every day. But after her normal commute to her Old Street offices was disrupted when the Tube network was evacuated, she boarded the number 30 bus which was blown up by a suicide bomber at 0947 BST. Ten minutes earlier she had called her sister to relate the chaotic exodus from Euston station. She also called her boyfriend Gous Ali who set out on a desperate search for her after the blast. 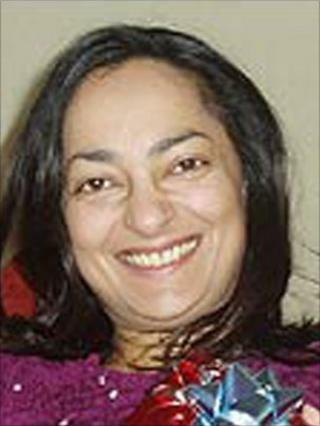 At the time, Mr Ali described Ms Jain as a "very spiritual, down-to-earth, loving person" who "would not hurt anybody". Born in Delhi in 1967, Neetu lived in the Indian capital for just one year before her father was offered work as an engineer in England and the family moved to London. They first lived in Southall, later moving to Kingsbury before settling in Hendon in 1975. Neetu, a Hindu, attended Hendon Senior School where she showed her aptitude for study and science. In 1988, she graduated from King's College, London, with a biochemistry degree, having been recognised for the best academic results in her year. She continued her studies with a masters in IT at University College London, taking on part-time work and summer jobs at the Body Shop, Harrods and as a research assistant at the Kennedy Institute of Rheumatology. Afterwards, she joined T-Cam and her work took her around the world, from India to Venezuela, to Mexico, Turkey and the US. Tiring of travelling, she joined Smart Logic in 1994. Just two months before her death, she had begun a new job with TXT4 in Hoxton Square, building computer software. At her inquest, her sister, Reetu Jain, said: "At this point, she was the happiest that she had ever been with her career and personal life." She was living in her own flat, close to her parents, and was about to get engaged, her sister added. "My sister was a beautiful, loving person," she said, in a statement read out at the inquest. "When I started a family, she always brought my children such joy. I will never forget their laughter when she was with them and the little games she played on their backs. "Every day I think of all the times we shared. I remember her smile and our daily chats." Ms Jain's statement added that their mother died in March 2007, "heartbroken by the family's loss". Speaking shortly after Neetu's death, former colleague Mike Kelly, who worked with Ms Jain on dotcom ventures for some years, said she had been a pleasure to work with. "Neetu always made the effort to be a friend outside of work," he said. Another colleague, Laurence Gruet, appreciated her support when "things were bad, and work was often bad". "You didn't care about race, religion or riches, or any other of this world's tokens of superficiality; the beauty of your heart was there for all to see," he wrote in a letter to Ms Jain after her death. He went on to say he remembered her last e-mail, trying to get a group of friends together for a meal. "I can't believe there was always one of us too busy to meet up. What a waste! Why do we always believe there will be another day?"